We offer two titles for sale; they are available for loan also. During regular library hours, you may purchase copies at the Library or call 914-591-7840 to find out about purchasing via US mail. If you purchase at the Library, you may pay in cash or by personal check. Wolfert’s Roost– a labor of love, first published in 1971 by a talented and dedicated group of Irvington residents, has become a classic in and about our village. 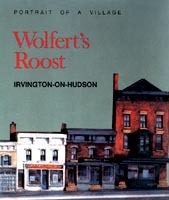 Since it was first published to commemorate Irvington’s 125th year anniversary, Wolfert’s Roost has been reprinted twice due to popular demand. 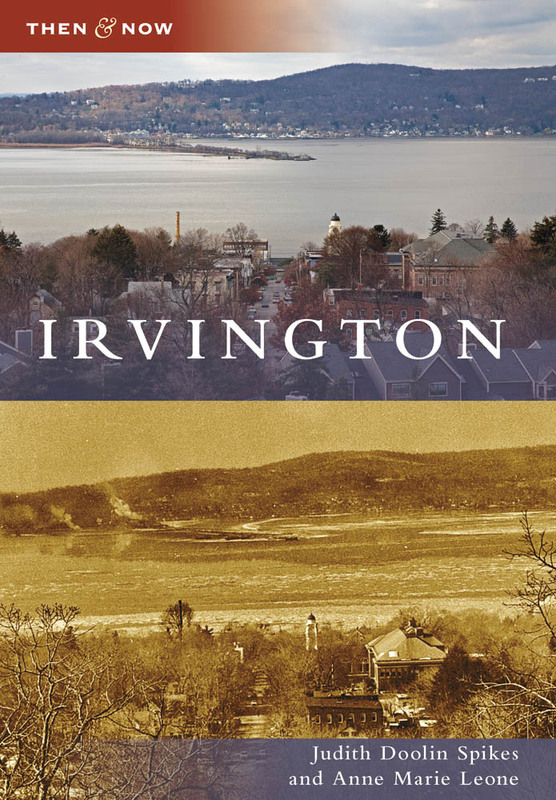 Limited copies of this lovely book, full of photos and reminiscences of Irvington and its people from 1682 through the 1960’s, can be purchased at the Irvington Public Library for $25. All proceeds will benefit the Irvington Public Library. 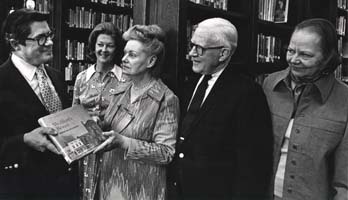 Library Trustee John Budlong presents Nancy Levy, Director, with a copy of the first edition of Wolfert’s Roost in 1972. 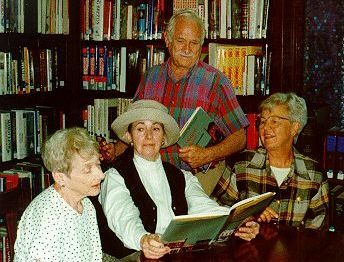 Barbara Denyer and Laurence Lustig (center), who both worked on the original edition of Wolfert’s Roost, admire the 1997 reprint edition with Library Trustees Mary Morrisett (right), and Ruth Berelson (left). Copies are $21.99 each. All proceeds will benefit the Irvington Public Library. About the Authors: Judith Doolin Spikes, researcher and writer, and Anne Marie Leone, photographer, had published in The Rivertowns Enterprise. Image reprinted with permission from Irvington, Then and Now, by Judith Doolin Spikes and Anne Marie Leone.